It was previously exposed by Patch.com that a marketing firm hired by speed camera contractor ACS State and Local Solutions created a phony "grass Roots" campaign (a practice commonly called "Astroturfing") to promote the expansion of Baltimore County's speed camera program. That effort ultimately proved successful when the county voted to expand the program and renew ACS's profitable contract without a competitive bid. It turns out that ACS has been conducting a similar artificial-turf effort in Howard County for some time. The Inside Charm City blog discovered a FaceBook page in February,shortly after the Baltimore County site was exposed, which was similar to the one created in Baltimore County maintained by the CEO of KO Public Affairs. 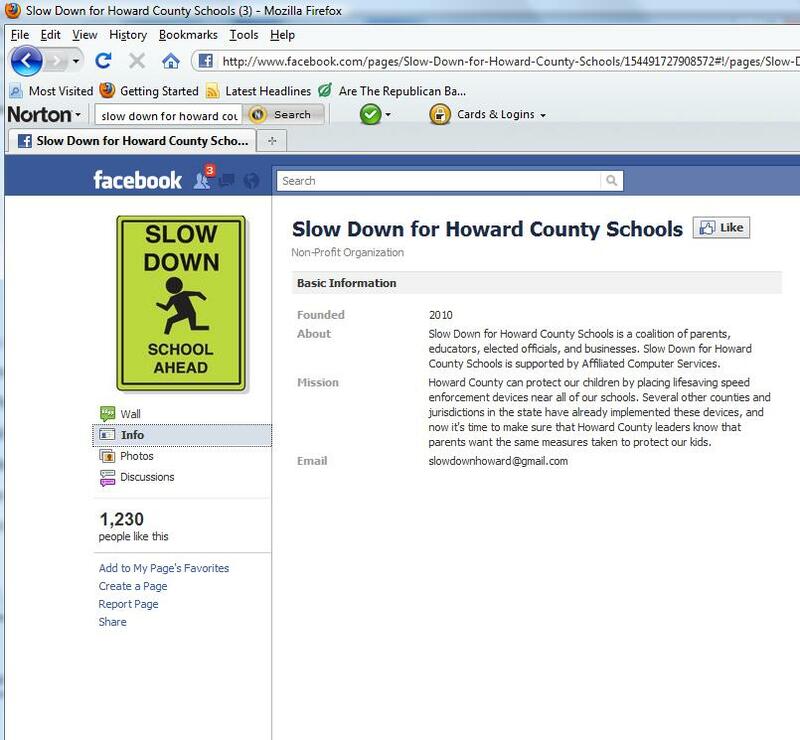 The story in Inside Charm City stated that the "Slow Down For Howard County Schools" FaceBook page had "no name, no email address, no website, or no other contact information listed." 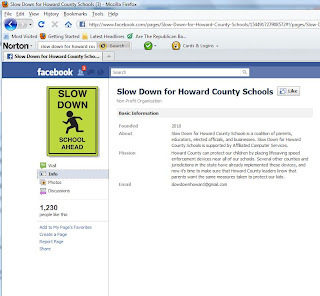 As of today the "Slow Down For Howard County Schools" FaceBook page (now that it is public knowledge) does in fact disclose that it is being "supported by ACS State and Local Solutions". The same disclosure is NOW made on the Baltimore County site as well. The first posting on the Howard County site was dated September 14, 2010, so it appears that ACS was using this site to promote their agenda in Howard County for some time before the disclosure was made. The site lists over 1200 'likes', but the names of the 'likes' are concealed. The fact that an official of KO Public Affairs was listed in the 'Likes' of the Baltimore County site was one of the things which revealed ACS's involvement, and that feature has been turned off on that site as well (it would also potentially reveal whether 'likes' were in fact coming from 'like farms', a tactic used to artificially inflate the apparent popularity of sites). The creation of Astroturf sites by speed camera companies has become a widespread tactic, and some photo enforcement companies even hire people to comment on speed camera stories online to create the impression of public support. While it is noble that ACS now admits to running these Astroturf sites, one wonders how many other "grass roots" campaigns they are supporting in the state to improve their bottom line? StopBigBrotherMD previously reported on ACS's extensive lobbying activities, even buying steak dinners for state lawmakers (first exposed by the Washington Post). We also previously reported on the massive PR campaign ACS was conducting in Montgomery County, which included planting favorable stories in the media. ACS presumably hired KO Public Affairs because of their many connections both in the state government and in major media outlets. For example, Howard Libit, the KO Public Affairs official who ran the Baltimore County Astroturfing campaign, is also a former editor of the Baltimore Sun, which often publishes stories strongly supporting photo enforcement. The Sun did not disclose its former relationship with Libit when they published their own story on the Astroturf campaign. 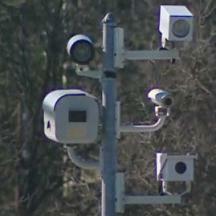 Howard County Executive Ken Ulman has introduced a plan to add speed cameras to that county. A public hearing on the proposal is scheduled for April 20th. ACS's current efforts include not only expanding the use of speed cameras to other parts of Maryland but also gaining authorization for new types of photo enforcement. StopBigBrotherMD.org is maintained entirely by volunteer efforts and receives no support or funding from any corporate interest.